Based in Southern California, Tristan Pereida-Rice started his professional writing career in 2010. He mainly publishes health and culinary-related articles for LIVESTRONG.COM. Pereida-Rice attended Scottsdale Community College in 2008 with an emphasis on screenwriting. Fruits can not only benefit your health when eaten whole, in fact certain fruits can produce beneficial enzymes that can be extracted and used for other purposes. Surgeons and health professionals use various enzymes, extracted from fruits to treat patients for a variety of reasons. Papain and bromelain are common enzymes found in fruits that are believed to have great health benefits. Papain is a proteolytic enzyme that is found in the leaves of papaya trees as well as the fruit itself. The latex of the papaya fruit houses papain as well as chymopapain, another proteolytic enzyme. According to DietandHealth.net, papain has a soothing effect on the stomach and helps in protein digestion. The enzyme is mainly used as a meat tenderizer. By wrapping meat with the leaves of the papaya fruit, the enzymes help break down the tough tissues that connect the muscles. Other popular uses for papain include clotting milk, treating jellyfish and insect stings and the acceleration of wound healing. Like papain, bromelain is also a protein-digesting enzyme that has various benefits. 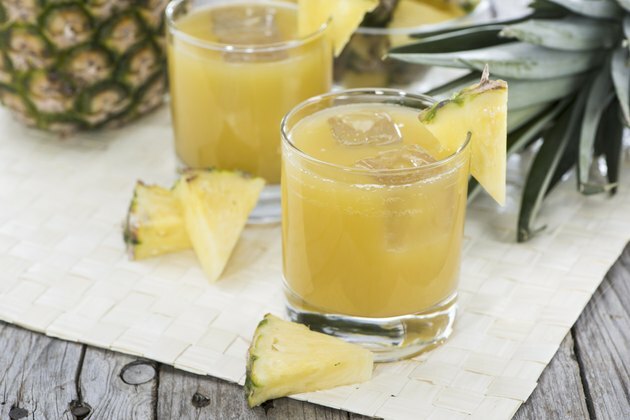 The enzyme is found in pineapples and according to the University of Maryland Medical Center, "is particularly effective in reducing inflammation associated with infection and injuries." The enzyme is derived from the juice and stem of the fruit, making it easy to extract. 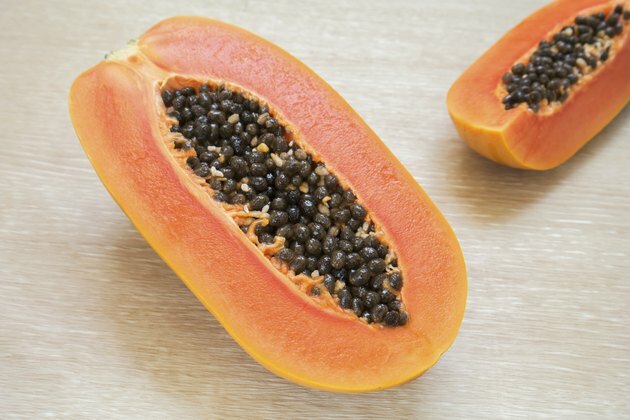 Although the papaya fruit latex was well known for health benefits, it was not until the 1870's that the enzymes which were derived from the plant were recognized and studied, according to DietandHealth.net. 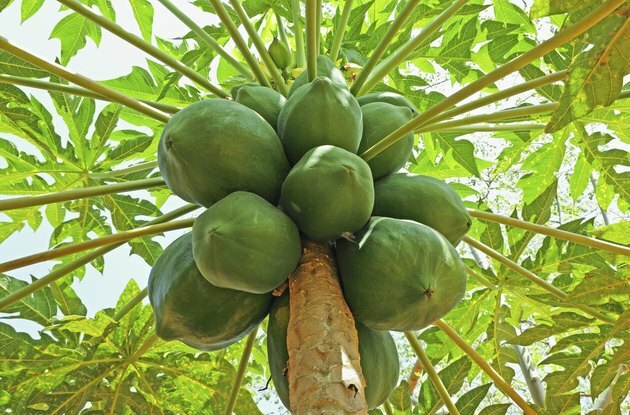 The surge in papaya fruit trees began in 1937 in Eastern Africa. Because of the popularity today, due in large part to the commercial value, papain is one of the most widely studied enzymes in the world. 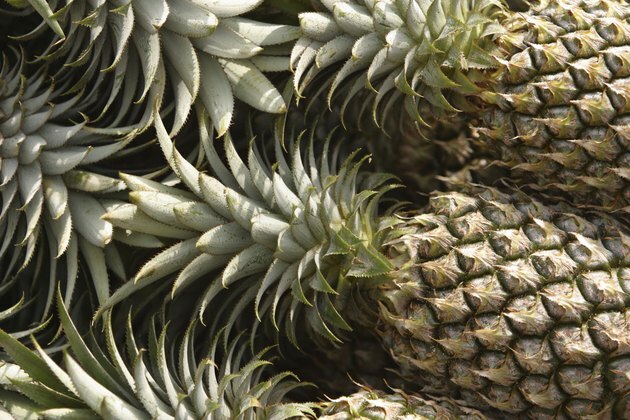 The University of Maryland Medical Center states that bromelain was first extracted from the pineapple plant in the late 1800's. Soon after, the German Commission E approved the application of the enzyme to treat mainly sinus surgery patients who developed inflammation and swelling. Today, mixed results are found in studies determining whether bromelain is effective in reducing swelling, bruising and healing time.